A honeymoon is the traditional holiday taken by a newly-married couple to celebrate their marriage in intimacy and seclusion. The term has its roots in the ancient Norse word “hjunottsmanathr” (“honey month”) which involved a period of “hiding” by the bride and groom (presumably from the bride’s family, if it was not an arranged marriage). 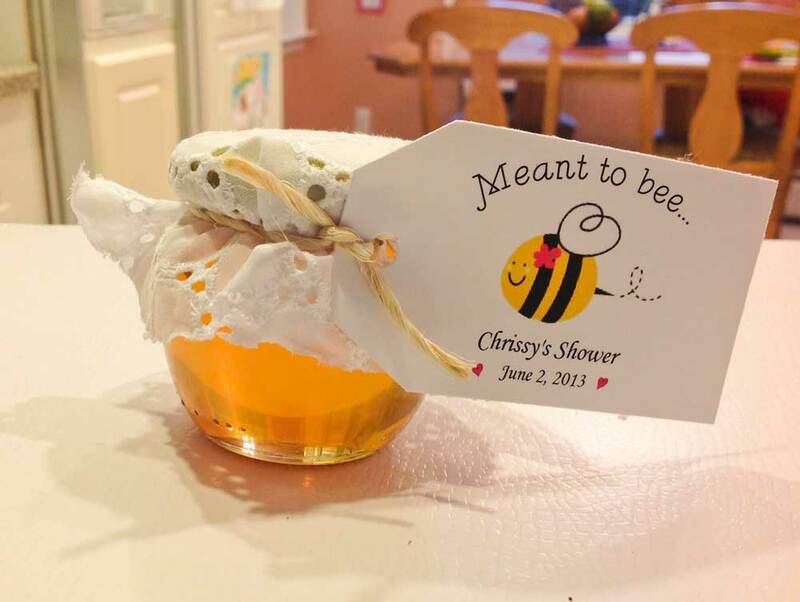 During this time of hiding, the newlywed couple often drank mead, a sweet wine made from fermented honey — to bring good luck. Mead was first concocted by monks for medicinal purposes, but it was soon discovered that the drink’s potent effect on the imbiber encouraged conjugal bliss. Well-wishers often presented the bride and groom with a month’s worth of the special honey brew, along with beautiful goblets. Today, the honeymoon is a vacation for the new couple. It’s a way to relax from the efforts of wedding planning and a chance for the new couple to spend time with each other in private. The honeymoon also symbolically begins the change from the couples’ old life as individuals to their new life as a married couple. 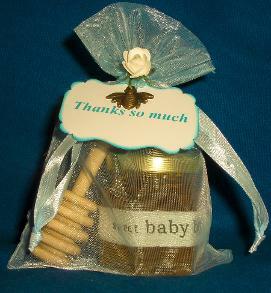 We’re pleased to help with your DIY favor plans, offering you this collection of our customers’ beautiful, sweet and sentimental honey jar wedding favors, bridal shower favors, baby shower favors and favors from other special celebrations, made all the more wonderful through the personal touches and the loving care put into them. 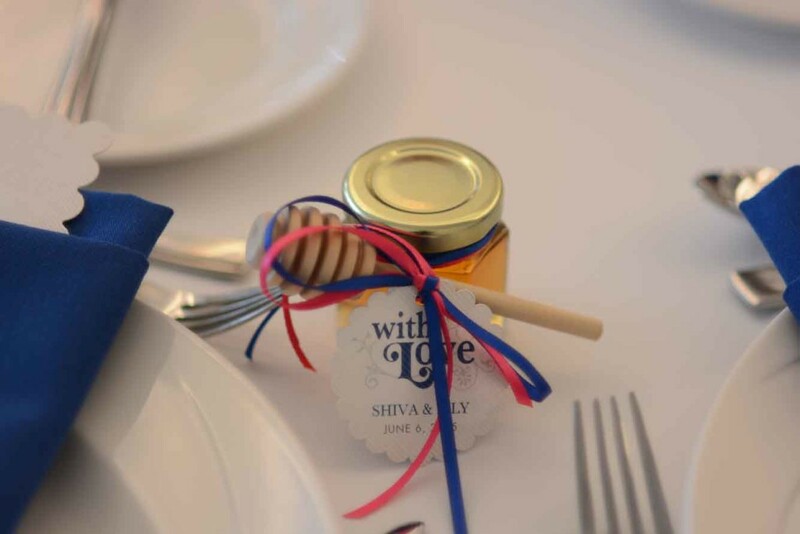 DIY wedding favors are a terrific way to personalize your party, and there’s much fun to be had in the making of budget-friendly, DIY favors! First, choose your Thistle Dew! 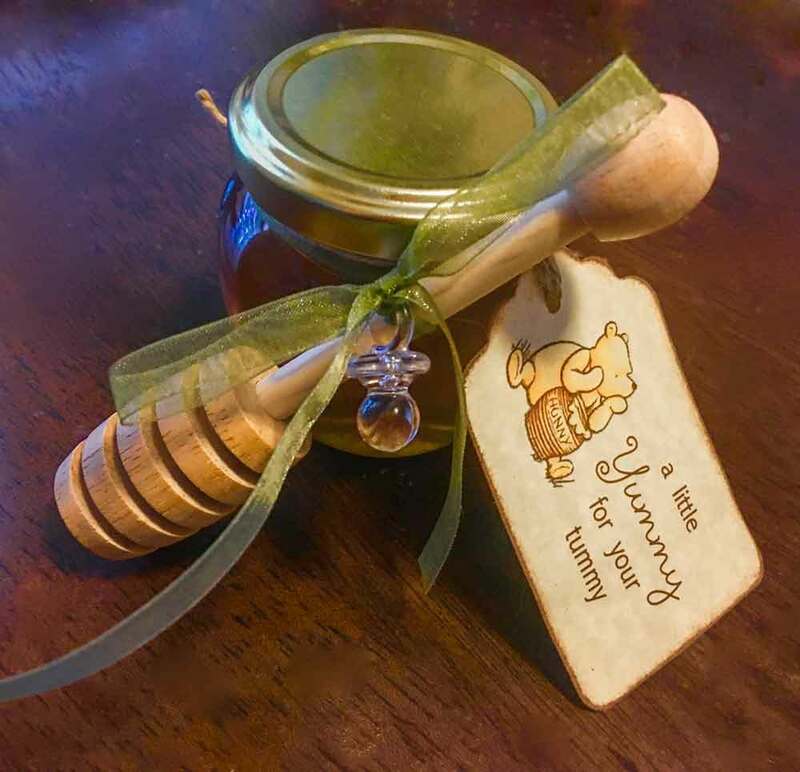 Raw Honey Favor jar style and shape, and know that a top trend in wedding favors and shower favors is offering a variety of wedding favor styles so that your guests can choose their own preferences. 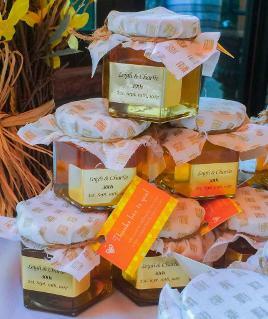 Next, decide if you’d like to make your own wedding favors, or if – like many of our Thistle Dew! 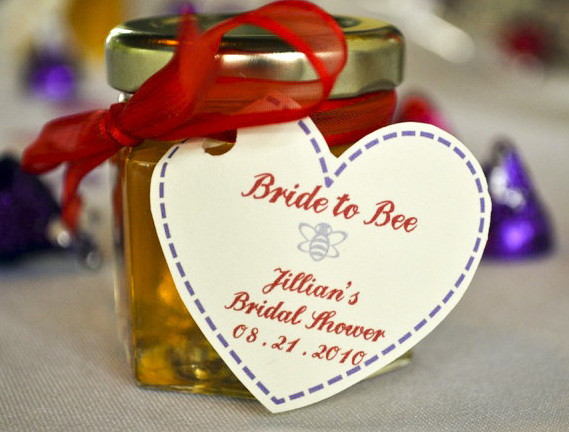 Wedding favor customers – you’ll plan a DIY wedding favor-making party so that your friends and family can join in the fun of making the favors for your celebration. Print tags on Kraft paper to go with a rustic-themed party, or on glossy, colorful paper stock to match your party décor. 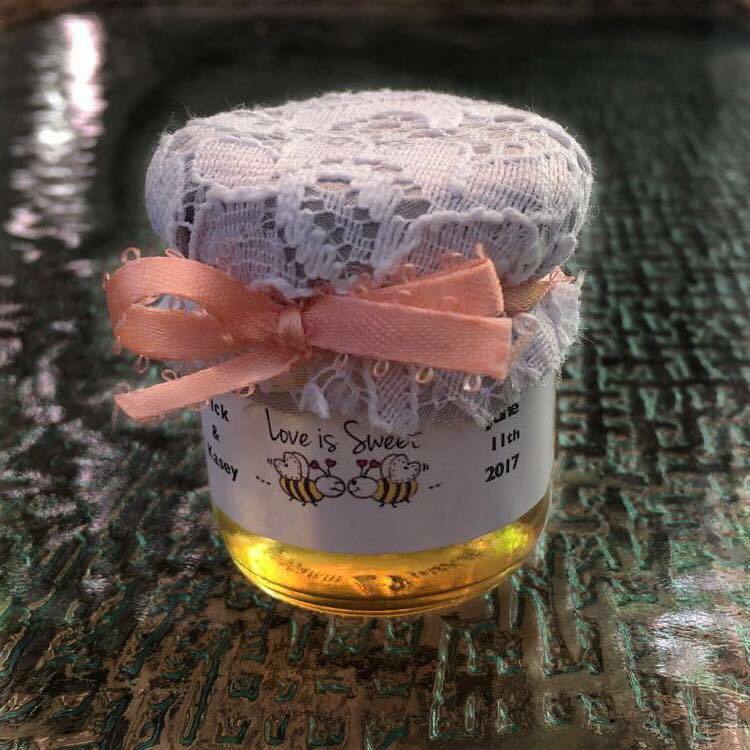 ** We love the idea of making a few separate, personalized labels to affix to jars set aside for your sweetheart, for family members and close friends, a VIP collection of personalized wedding honey favors! We hear from our Thistle Dew! 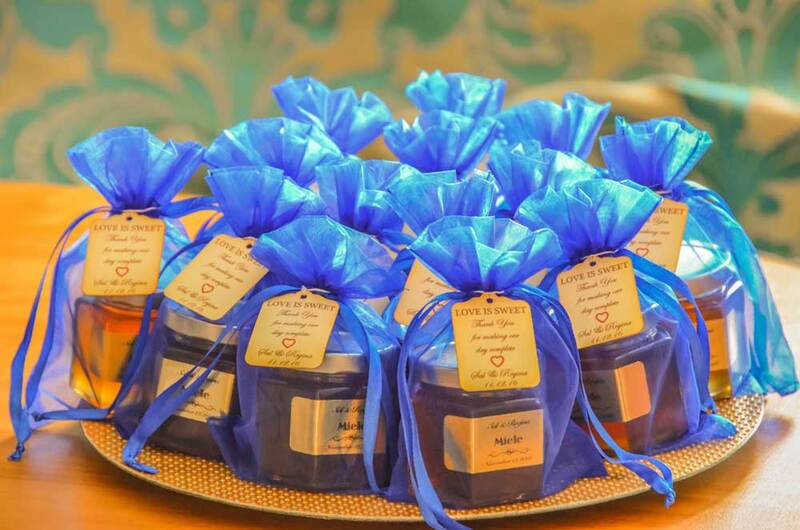 Wedding Favors clients that when our honey jar favors are offered at their party, there’s rarely one honey favor jar left behind at the end of the party! 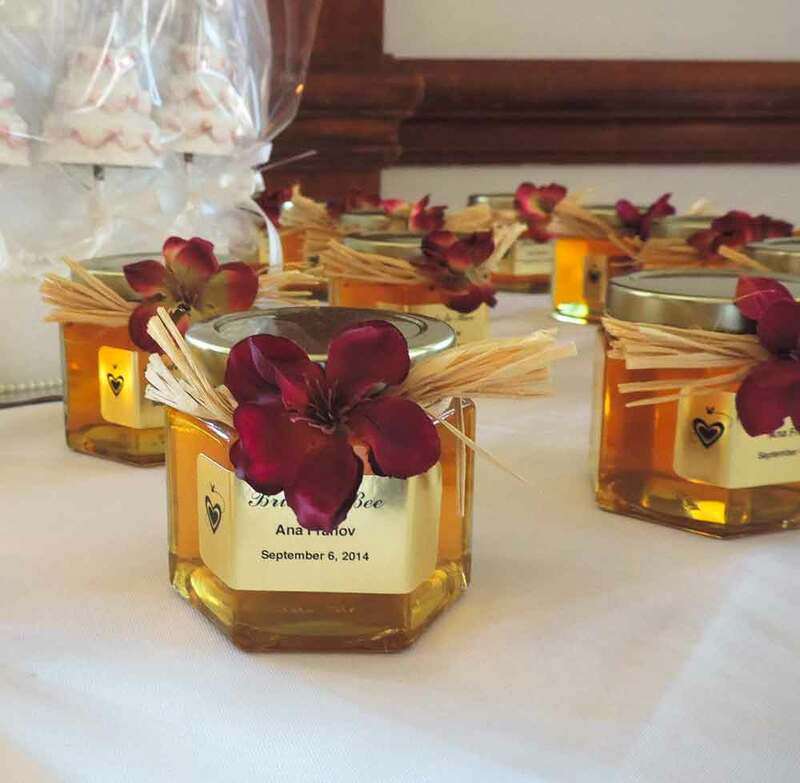 Guests love being treated to our delicious, natural Smoky Mountain honeys, and they definitely appreciate a pretty DIY favor! 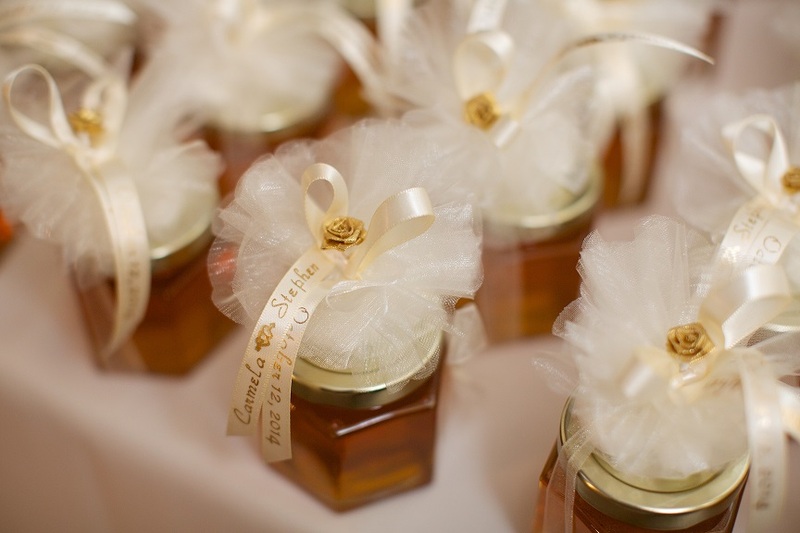 Start planning your Homemade-DIY Honey Jar Wedding Favors! 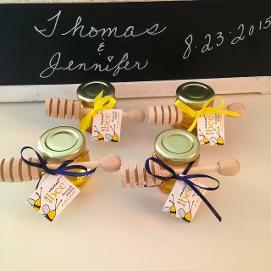 Contact us at thistledew@ymail.com to discuss your Wedding Honey Favors!